One of Philadelphia’s preferred custom website design and development companies with extensive digital advertising capabilities, DDA offers clients nationally and regionally in Pennsylvania, New Jersey, New York, Delaware, Maryland, and Washington D.C. exceptional 3D animation design services. The advantage of incorporating 3D animations into website design and development as well as CD-ROM and DVD productions are two-fold. Not only can 3D animations inform, they can entertain for a great overall user experience. When complex concepts, ideas, products, or services are represented in simplistic 3D animations, customers, partners, employees, or investors obtain a better understanding. That which cannot easily be expressed in words can be enhanced and viewed from multiple vantage points. When 3D animations present information as a moving image, viewers are able to retain what they have been exposed to for longer periods of time and with greater accuracy. Demonstrate how a product is used. Animate text to emphasize important promotional messages. Re-create events or scenes that may have been altered or do not exist. Or portray process operations and procedures in a unique way. With our 3D animations, the possibilities are endless! • What is the message? • What is being promoted? or detract from the overall design? Once these questions are answered, Dynamic Digital Advertising creates a custom design that highlights the most appealing attributes of your concept, idea, product, or service. DDA is fully equipped with a state-of-the-art 3D animation and modeling studio as well as expert photographers and graphic artists giving you access to some of the latest software and exceptional capability the advertising industry has to offer. If 3D animations are poorly positioned, not only will the 3D animation overwhelm other images, but it may also discourage the viewer from seeking more information. 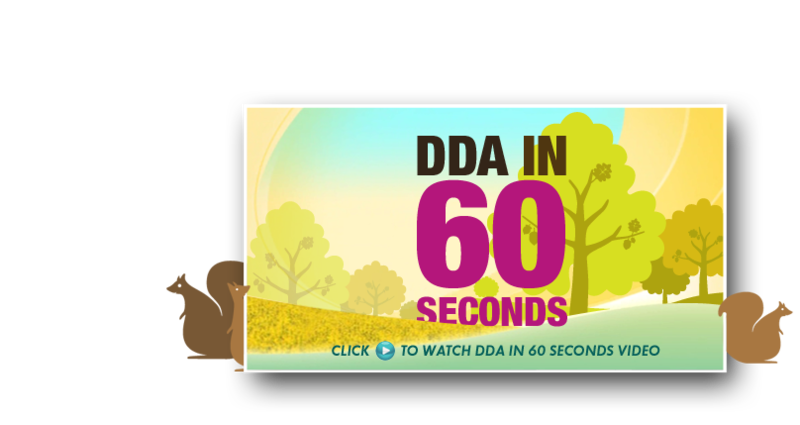 In website design and development and CD-ROM or DVD production, DDA makes sure 3D animations mesh comfortably with other static design elements. We work with you to make the best decisions in regards to animation aesthetics, implementation, storyboarding, and optimization. For photo-realistic 3D animations, our designers and developers utilize different angles, reflections, transparencies, shadows, and virtual light sources. Based on your preferences, we can create animations that cycle continuously while the website or CD-ROM/DVD presentation is in use or we can create a design that gives the user control over when and for how long the animation plays. These are just a few examples of how DDA designs and develops 3D animations that sell your product or service, concept or idea. 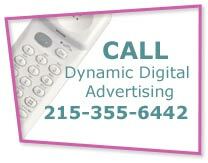 To find out more, call Dynamic Digital Advertising today! Is your website generating the right kind of traffic? If not, then its time to invest in Dynamic Digital Advertisings custom web design services. As a professional web site design company, we have developed a proprietary process that consists of 14 integrated steps from goal setting to post-launch optimization. Our staff of designers, search engine optimization specialists, writers, and programmers work as a team to produce an effective website design that generates greater traffic, and, more importantly, the right kind of traffic. Has your company improved its corporate identity and your marketing and advertising materials no longer reflect your new image? At DDA, we work with you to understand the direction your company wants to take, create a corporate identity that effectively conveys that direction, and integrate that corporate identity into the graphic design for all forms of media. Through logo design, branding, color schemes, and images, we are able to represent your company in the best possible light, as well as communicate who you are and how your company is evolving.